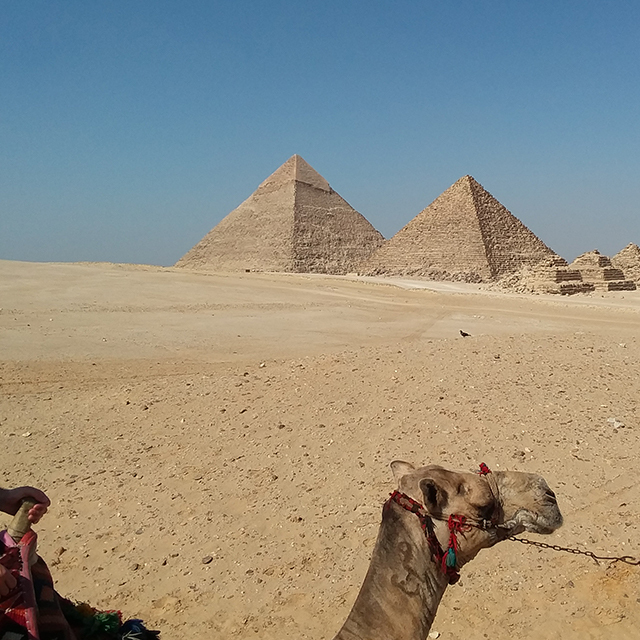 Recently, traveler and author Audrey set out to explore the land of the pharaohs on our Egypt & the Nile tour. She shared some of her favorite moments from the trip—including a birthday celebration and a visit to a book-lovers’ paradise—with us below. We traveled across Egypt by land, by air, and (my personal favorite) by river. Seeing the fertile valley along the Nile River and cruising its course through the Sahara Desert was a breathtaking experience. Our Tour Director was also an Egyptologist, which made all the difference as we explored the towering stone monoliths and artisan temples of the Ancient Egyptians. She brought history to life for us! 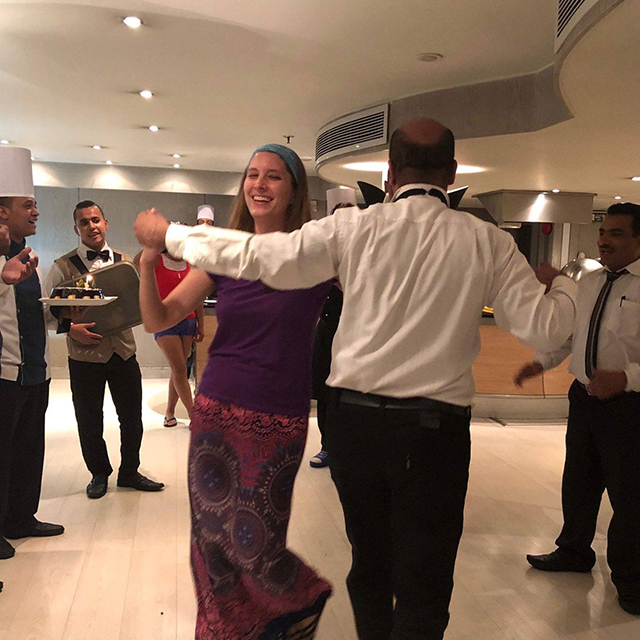 My tour turned festive when I was surprised aboard the Nile River cruise ship by the entire kitchen crew, bearing a specially made birthday cake while singing songs in Arabic and English. I was literally swept off my feet with a dance while my tour mates joined the impromptu celebration. Music and merriment spread through us all! Seeing such a happy cultural exchange that transcended borders and language was special, indeed. 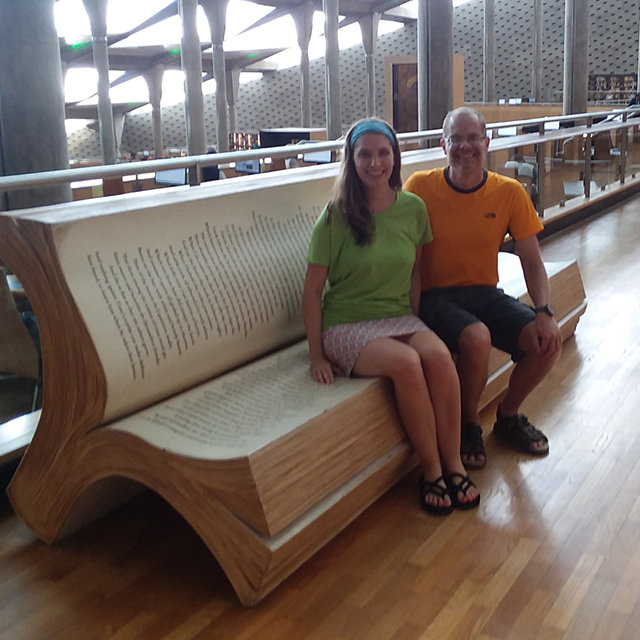 Though the ancient Library of Alexandria no longer stands, an impressive archive of knowledge is available at the Bibliotheca Alexandrina, its modern-day successor. For a book lover like me, visiting this reincarnation was a highlight. The architecture impressed me from the outside, but the real treasures inside provided a window into Egypt and its history. The afternoon I spent there was an experience to remember. Have you visited Egypt on tour? Share a favorite memory in the comments below!